How to Choose Your Indoor Seed? 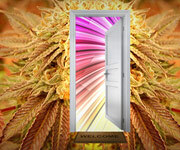 As with most cannabis seed purchasing decisions, the decision as to which one to choose, is really all down to what you are in the mood for. But to help you out, as Gorilla knows there is a great deal of choice, here are some questions to ask yourself. What do you want from your seed? Is it a breed you like? Is it going to be happy where you intend on keeping it? i.e. indoors? Is it in the ‘Indoor’ section of Gorilla Seeds? If so then you’re good to go! Gorilla’s collection is really here to take all the worry out of your seed buying decision. All you need to know is that the Gorilla Seed Bank team have thoroughly checked and tested all their indoor seeds, so you can relax and purchase with confidence. Check Out Gorillas Incredible Value Indoor Cannabis Seeds Now! You have no cannabis seed purchasing worries…when this Gorilla has your back.